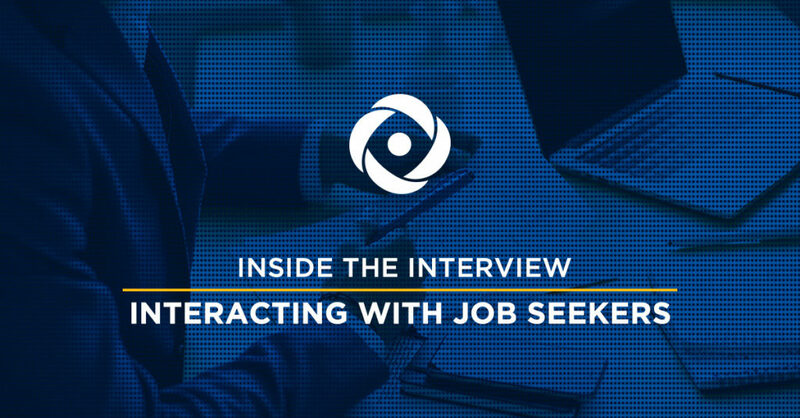 Inside The Interview - Acara Solutions, Inc. While flipping through channels, I discovered a TV show called “The Job Interview.” This show helps companies to identify qualified candidates and showcases the interview process for various positions. I was quite impressed that CNBC aired a program so real and related to what I do as a recruiter. “The Job Interview” offers a great way to learn how organizations interact with job seekers and examines the process a company may use. It also illustrates which industries are hiring talent, and provides insights into pay rates offered. Some hiring managers’ ideas were very creative. For instance, one had each candidate walk into a room in which no chair was provided for them. The idea was to observe how candidates responded to an uncomfortable situation. Did they find a chair for themselves? Stand? Circle uncomfortably? It provided insight into candidate reactions, problem solving, and the ways individual responses may influence an ability to succeed in specific positions. Honesty is the best policy. To get at just how genuine and self-reflective a candidate is, a simple question can help: “Think back to a situation that, after reflection, you realize you could have handled things better. What was that time, and how would you change things?” Watch to see how much the candidate struggles with the response, and is the response heart-felt? Does it feel like a real ‘lesson-learned’ moment from which the candidate learned? Or does that candidate give a non-response, e.g., “I went through this project and realized that my perfectionism really cost me a lot of time in my personal life, but it helped get the job done.” If you get one of these lazy non-responses, don’t be afraid to professionally call the candidate on it: “I can see how that would have been a challenge, but could we dig a bit deeper and talk about a time that you now feel you made a genuine mistake in a decision you made or the way you addressed a team member?” Hopefully you get a meaningful response, and it sheds light on personal values and character. The barrage. Posing questions in rapid succession helps you to observe how a candidate’s mind works under pressure. For example, “out of your previous jobs, which was your favorite? Do you like working in teams or individually? If you won the lottery, what would you do with the money? If there was one thing you could change about your current job that would make you want to stay, what would it be?” Moving quickly between questions helps to map a candidate’s comfort with change. The secret interview. Who else interacts with a candidate during the interview process? Perhaps the receptionist has some insight! A receptionist’s observations of the candidate while he or she waited can be quite telling. How did the candidate treat the receptionist and those with whom they sat? How did that behavior correlate to the experience you observed in the interview? Discovering and finalizing the best candidate is a challenge. A recruiter should always think outside of the box to discover new and interesting ways of discovering what each candidate brings to the table.